The Costs of Moving home if you need affordable good quality boxes for your next move, with next day delivery or collection then look no more. We have Manchester Removal Boxes, packing boxes, bubble wrap, tape, wardrobe boxes and many other packing materials to make your next move as trouble-free as possible. Buy your house removal boxes from Argos. This is just one of the many removal box packs they sell at Argos along with other helpful items you will need when moving house.house removal box pack. Argos can deliver these removal boxes to your door or you can reserve on line and collect from the store which is very handy there are many Argos stores in and around Manchester. 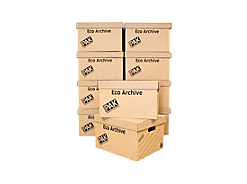 Ecohome Moving House Storage Boxes - Pack 1 to 2 Bedrooms. If you're moving home this storage pack is just what you'll require. There are enough eco-friendly boxes to pack up to one or two bedrooms and it comes with brown self-adhesive tape, bubble wrap for those delicate and breakable items and a marker pen to label up the contents. Use bubblewrap when packing boxes this can be bought at Argos separately or included in one of the box packs. 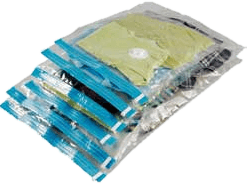 Use with or vacuum storage bags without a vacuum for compact storage of clothing, this great storage idea is Made by Space bag allows you to pack more into your luggage, Ideal for taking clothing and bedding when moving home, just fill, zip, roll or vac and go. Comprises of 3 large and 3 medium roll bags. Compress contents using your household vacuum cleaner. Capacity equal to 15 pillows. Size of medium bag H40, W60cm. Size of large bag H48, W68cm. These can be purchased from Argos in different sizes and quantities. in the office or loft and even better, these boxes are eco-friendly. Storage capacity of 33 litres, they are brown corrugated cardboard the set includes 10 storage boxes. Easily stackable for great space saving. Each box size H26, W34, D42cm. They are recyclable and come flat packed with easy assemble require. We also recommend Boxes and Bubbles Removal boxes; we can have your house moving boxes delivered the next day offering discounts on all packing materials. Including boxes tape bubblewrap wardrobe boxes why not order a moving pack to suit your needs. We can supply box packs for any size house or flat Boxes and Bubbles for all your packaging materials for moving home. 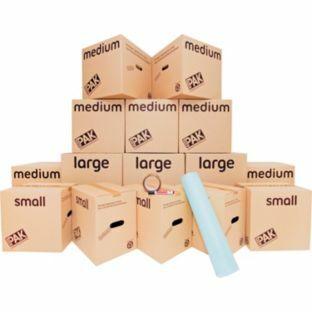 Argos Removal Boxes and Packing Supplies - Organise Your Moving Day. Boxes and bubble wrap buy containers and tea chests the one stop cardboard box shop for all your cardboard removal and storage boxes needs. Buy online and have your cardboard boxes and bubble wrap delivered next day straight to your door. Purchase with confidence as they sell only superior strength cartons used by removal professionals. Packing just got easy with Argos directly delivered house moving boxes. Don't Overfill! Please ensure that you do not overfill your boxes and cartons, remember that they have to be lifted. The top and sides of each box shouldn't bulge, nor should they cave in when closed. The removal men are fully trained but they are not supermen. Dishes and Glassware Wrap breakables in bubble wrap and use newspaper to fill extra spaces in boxes. Mirrors and pictures For large mirrors or pictures, cover both sides with bubble wrap and heavy cardboard, then bind with tape. Lawn and Garage Items Strap long garden tools together into a bundle. Pack heavy power tools into small sturdy boxes and fill spaces with newspaper. Electrical items Whenever possible use original shipping boxes for computers, printers and other electronic items. Tape electrical cords to back of appliances. Pop bubbles in bubble wrap as a stress relieve while waiting for the house sale to go through! Argos stock many different size boxes from to wardrobe boxes. We have everything you need to keep your move organized: plastic bags, packing paper, labels, tape, bubble wrap and even a marker. They sell only professional grade moving boxes that are appropriate size and construction. Now you can have the same moving supplies the professionals use at competitive prices.